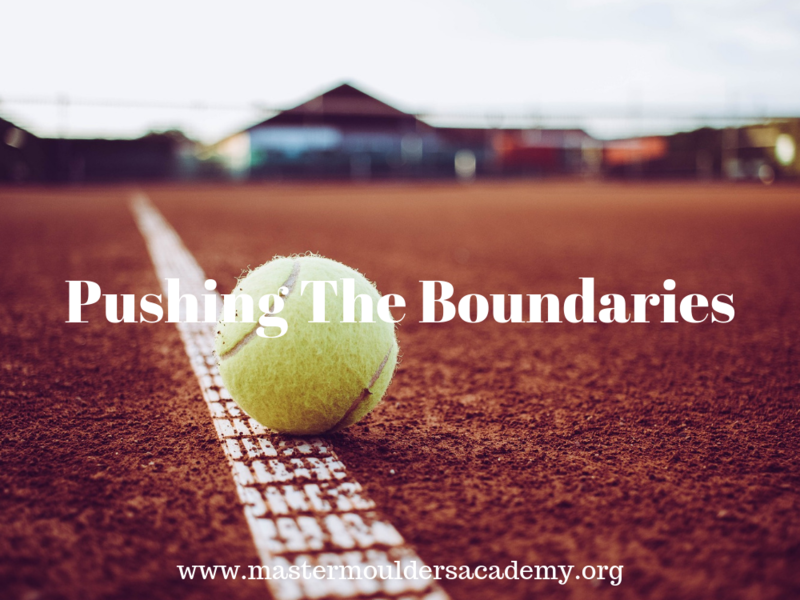 Boundaries are edges or points designed not to be exceeded. The word boundary could denote limitation or a self-repeating twist from which one may be confined. To excel in life’s endeavour, one must be able to work in such a way that boundaries are pushed. No true success comes with ease. Life is waiting for us to shine. Our hearts must be poised for doing the ordinary in an extra-ordinary way to attain realms so desired. Looked at from the perspective of the world, and the timeless contributions of those who have affected lives in meaningful ways, we shan’t fail to observe that those who have done the world proud pushed themselves beyond boundaries. To live a life of note, one must consciously strive to do it better and work assiduously to lift the edge and push boundaries in all life’s endeavours. When we begin to appreciate our uniqueness and individuality, we will discover that those who have set the pace are in no way better than us – that is a pointer that we can achieve more and make our mark in the long run. Having the mind-set of the exceptional achiever, we can start each day by listing the ‘achievable’ for the day. Consistency is another key that can unlock the key to boundaries. There is no impossibility as the impossible, usually, is the untried. Look at the lives of those we refer to as mentors, you soon realize that they had a set goal which they stretched over and over again. They utilized the time others spent on frivolities to sharpen further their in born talents and those talents they develop through rigour. The human mind has been designed to stretch itself to endless limits; we have been endowed with the capacity to push boundaries in all areas related to human pursuits. Conscious awareness on the need to push ourselves beyond set limits must be constantly instilled in fresh minds as these are the image and future of tomorrow. It should be noted that no one can be better than you. There is something in you no other person has. You have been designed from the crodle with extraordinary abilities and matchless potential to excel in life and be a voice in your generation. Diligence says the achievement focused person. Complacency should never hold sway as it can limit that seed of greatness that lies within the individual. Let each individuals see boundaries in its context as it relates to successes as a word whose meaning is baseless, pointless and deserving no space in the thought processes. Our mindset should be pushing boundaries in all areas that will give air existence a meaning. ← Last Hurrah Before Exams!